You’ve been searching and searching for months for a new home, and finally, you’ve found the home of your dreams. It’s in the perfect location, you love the layout, and you’ve been offered a fair price. But, before you cross your T’s and dot your I’s, there’s one thing that you have to do- hire a home inspector. While hiring a home inspector costs money, the inspection they conduct can save thousands of dollars in unexpected repairs in the long-run. In fact, you may even find out that the house that you thought was your dream home is actually a dud. But, it’s important to keep in mind that not every home inspector is the same. In order to get the best inspection of your future home, you need to hire the best home inspector. 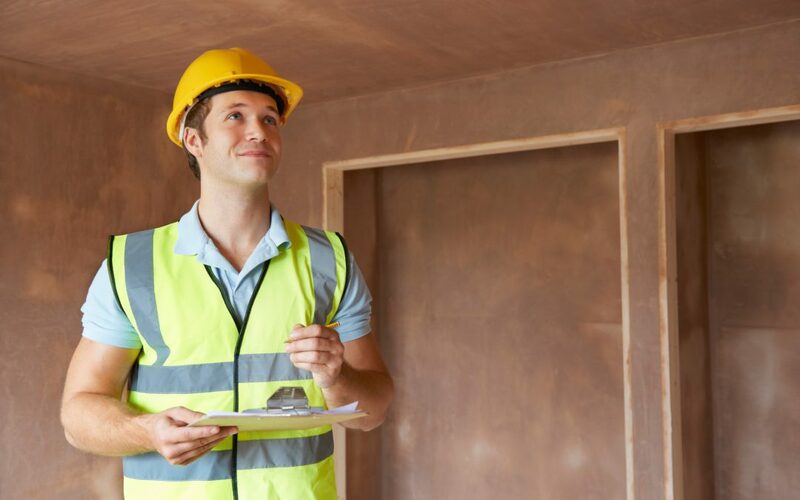 Check out this guide to learn the top tips for vetting your home inspector. Before you start searching for home inspectors, you should know what to expect when hiring one. For a basic home inspection, you should expect about 2 to 3 hours, costing you anywhere between $300 and $1000. The price will vary depending on the location of the home, the size, the experience of the inspector, and the scope of the inspection. To understand what your home inspection does and does not require, you can check out the home inspection trade associations’ website. This list may surprise you, as you may find that many home inspectors don’t include chimney inspections, solar heating inspections, swimming pool inspections, home security equipment inspections, or water treatment system inspections. Some home inspectors also don’t test for the presence of mold, lead, or radon. However, many home inspectors offer these services at an additional charge, so be sure to inquire if you’d like to add them on. Your real estate agent is one of the best resources for finding top quality home inspectors. This is because quality real estate agents who have been in the business for a while will have already worked with a number of home inspectors. They’ll be able to tell you which ones you should consider hiring, and, just as importantly, which ones you should avoid. A few minutes of online research can make all the difference when it comes to finding the right home inspector. An experienced and trusted home inspector should have a good amount of reviews that attest to their professional ability. You can find reviews and testimonials on the home inspector’s website, but also on review sites like Yelp and Google My Business. You can also get in touch with your local Better Business Bureau and see if the home inspector has any outstanding complaints filed against them. Most states have licensing requirements for home inspectors, so make sure the inspector you hire has these. If you live in a state that does not require your home inspector to be licensed, you will want to make sure they’re certified in some way. Home inspectors can be certified by one of several different associations. This certification ensures that the home inspector will follow a certain code of ethics and standard of practice. While certification doesn’t necessarily prove that a home inspector is at the top of their class, it does prove that they are willing to go the extra mile in order to assure that their business is credible. And, certification certainly isn’t an easy feat. Inspectors must perform 250 home inspections, pass the ASHI standard exam and ethics exam, and pass the National Home Inspection Examination. Also, make sure you ask for copies of certifications and licenses. Do not trust a home inspector on their word that they possess these certifications. Lastly, you’ll want to make sure the home inspector you hire has insurance. The insurance they should have is called errors and omissions insurance, which is a type of liability insurance that covers any mistakes they make. Before hiring a home inspector, you should go through the home and jot down any potential problems that you see. Then, talk to your inspector and find out exactly what they will and won’t examine. If you’re concerned about items that are not on the standard inspection list, ask if the inspector will look at those for an additional cost. But, you’ll also want to make sure that the inspector is qualified to perform those inspections. If they’re not, you may also need to look into hiring other professionals, such as roofers, electricians, professional engineers, pest experts, or plumbers. You should also ask your inspector how long the inspection will take and when you should expect to receive a written report. Lastly, ask the inspector what will happen if they miss any problems. A good inspector will chalk up the cost of the repair. As you can see, there’s a lot that goes into vetting a home inspector before hiring one. But, all this vetting is certainly worth it, because as we mentioned earlier, the right inspector can help you save thousands of dollars (And not to mention, thousands of headaches). If you have any questions about hiring the right home inspector, please let us know in the comments below. Otherwise, if you are in the Northeast Ohio area, be sure to get in touch with us to schedule an appointment with a top of the line home inspector.